When we presented Cleopatra Cuff last fall at CreativFestival a lot of you asked for more colors to suit everyone's taste. Now with 7 colors available you definitely have a choice. 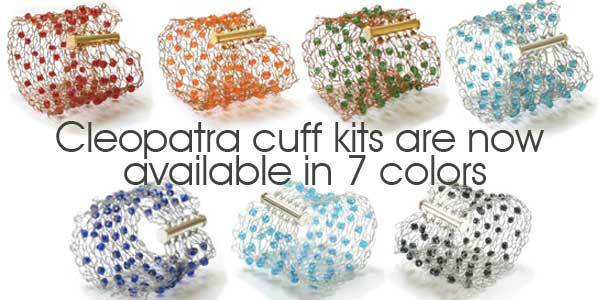 Besides we improved our kits providing 100m of wire in each box - that's enough wire to make 10 cuffs! Take a look at the Kits page for more info.